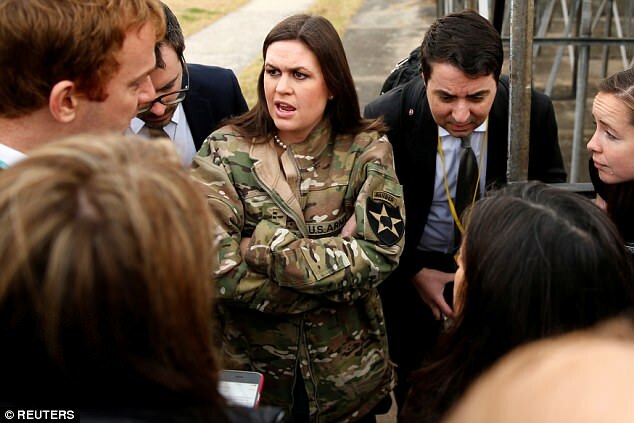 When an Army Ranger noticed that White House press secretary Sarah Sanders was shivering without a jacket, he gave her his own. What she did in return left many shocked. 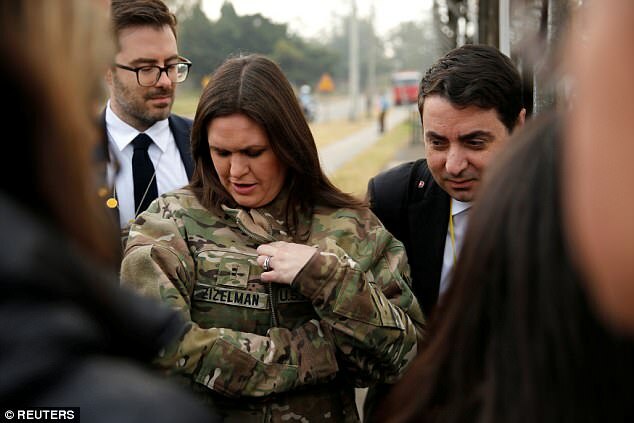 When Sanders was in South Korea during an official tour with President Donald Trump, an Army Ranger noticed that she was so cold she was shivering. She said she forgot to bring a jacket, which she realized as she stood in the cold winds. "One of our brave soldiers was nice enough to loan me his flight jacket, because I was freezing," Sanders told the Daily Mail. Insignia on the jacket identified the Army Ranger as a chief warrant officer named Bobby Zizelman. A public affairs official said Zizelman was in the 2nd combat Aviation Brigade, 2nd Infantry Division. The story quickly went viral and thousands of people online praised Zizelman for his kind gesture. Sanders' father, former Arkansas's Gov. Mike Huckabee, shared the story on his Twitter page, calling Zizelman "an officer and a gentleman," and suggesting he be promoted, according to Mad World News. Sanders later shared the story, writing, "A huge Thank you to Army Ranger Bobby Zizelman ... Next time I'll dress for the occasion!" While on the tour of Asia, Trump attempted to make an unscheduled visit to the Korean Demilitarized Zone, but his Marine One helicopter was forced to turn around five minutes from the landing zone due to dense fog. Sanders said the president was disappointed that he was unable to make the stop. "He's actually pretty frustrated," Sanders told reporters. She added that the trip to the DMZ was planned "for a little while" and that it was "something the president wanted to do." The zone separates North Korea from South Korea. "The fog was not going to clear," she said. "It didn't look like it was going to clear for another hour or so and the president had his speech that he can't be late for, in large part because we have to depart on time as well for China." Readers shared their thoughts on the story on the Mad World News Facebook page. "The army ranger is a officer and a gentleman for sure," one reader commented. "His momma raised him right. We love Sarah. Thank you for watching out for her. God bless you, and thank you for your service to our Country." "Bravo!" another user commented. "Thank you Army Ranger Zizelman for being a true gentleman to Sarah Sanders! It shows that chivalry is still alive and well in modern times amongst our men in uniform!"